This week in Rewarding Times, we have an exclusive offer for DOT-DROPS carry-on luggage. 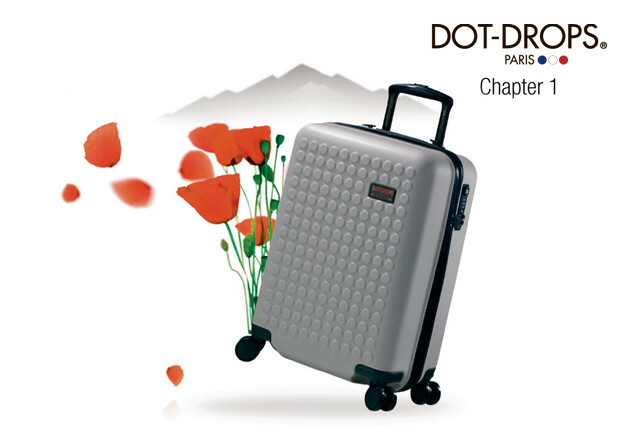 Designed for exquisite travellers, DOT-DROPS Chapter 1 collection is the perfect travel companion for those who are looking for functionalities without neglecting design. Ultra-light, the Chapter 1 collection is made of an anti-scratch material which protects the suitcase and gives a mat, elegant and sober look. Available in taupe, the Chapter 1 suitcase is perfect for travelers who want style and mobility. DOT-DROPS is designed for curious and exquisite travellers. They are nomads travelling across continents or working in an office with an open window on the world, who are looking only for the best. Travelling is a state of mind. Bernard Ehret felt that it’s time to re-launch the « dots design » because now this design match perfectly with the new trends of consumption. He developed a new DOT-DROPS ® material so to reinforce the link with the industrial floor used for airport and subway halls used by thousands of travelers. Great strength is its main feature. This timeless material can be immediately recognized anywhere by everyone, travel is its DNA. Also he created creates a unique and patented design for the rigid suitcase in order to match with the soft collection. No monetary value. Cannot be used for any other service or products. Please send an email to contact@dotdrops.fr by Sunday 20th May, with your Name, Voucher number, and delivery address. Suitcase must be redeemed up until Saturday 20th May - this is a strict deadline.